Patrons are treated to hand-patty burgers such as Ike’s “I Like Cheese” Burger, the “Ole Blue Eyes”, and “The Duke”. 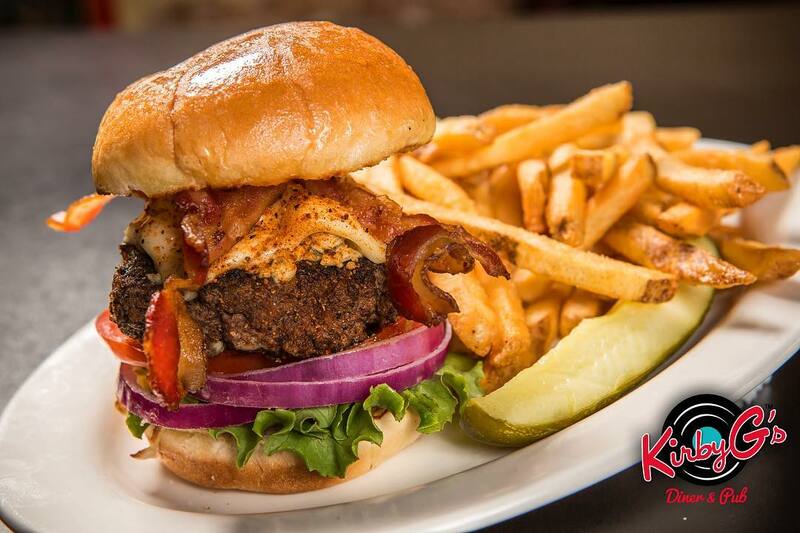 And, if a hamburger isn’t for you, diners will find mouth-watering delectable bites such Desi’s Fried Dill Pickles, Rock-a-Billy’s Grilled Chicken, and the Whiz Kids Philly Cheese Steak. Topped off with a hand-spun shake or a cold micro-brew to quench your thirst for the feeling of the ’50s.